Mesothelioma has no cure, but International Mesothelioma Program (IMP) scientists and researchers are working on several fronts to better understand the disease and work toward finding a cure. Along with patient care and support, research is an integral component of our program. Under the leadership of IMP Director Raphael Bueno, MD, experts from several Boston-area health care institutions bring together a long history of interest in mesothelioma as well as international reputations in epidemiology, prevention, and clinical care of cancer. Together they form a unique collaboration focused on better understanding the biologic basis of mesothelioma and improving survival and quality of life for patients with the disease. Our research program is designed to answer a range of questions about mesothelioma, all intended to contribute to the development of better therapies and improved outcomes for patients. What are the environmental factors contributing to the development of mesothelioma? What genetic factors predispose a person to respond to environmental contamination by developing mesothelioma? Are there identifiable molecular markers that aid in diagnosing and identifying the most effective therapies for mesothelioma? How can therapy be tailored to address the specific needs of each patient? What innovative treatments will extend survival and improve the quality of life for patients? 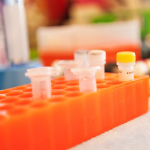 Our commitment to mesothelioma research means not only that our researchers contribute to the understanding of mesothelioma but also that our clinicians can translate to clinical practice discoveries that benefit patients.